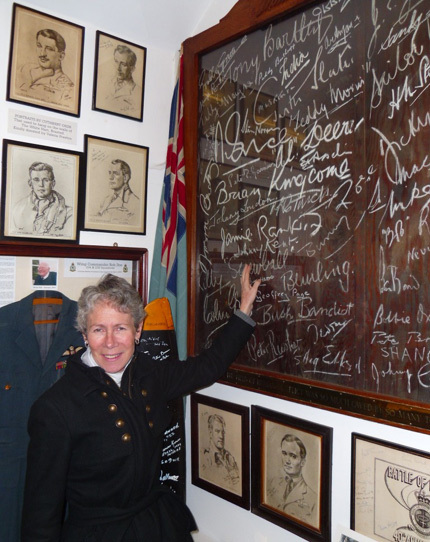 In November 2011, the Museum was delighted to welcome Alexandra, the daughter of the well-known Battle of Britain fighter pilot Group Captain ‘Johnny’ Kent DFC & Bar, AFC, VM. Shoreham was a highlight on Alexandra’s tour of places linked to her father’s RAF career, where she saw his chalked signature on the famous ‘White Hart’ Blackout Screen, a signed copy of his Cuthbert Orde pencil sketch and an original letter Johnny Kent wrote about the importance of the White Hart Inn to Biggin Hill based pilots. Johnny Kent served with distinction as a Flight Commander with the Polish pilots of 303 Squadron during the Battle of Britain, before taking command of 92 Squadron at Biggin Hill in late October 1940. Alexandra found it a very moving experience to see the items linked to her late father and hopes to re-visit Shoreham in the near future with other members of her family. 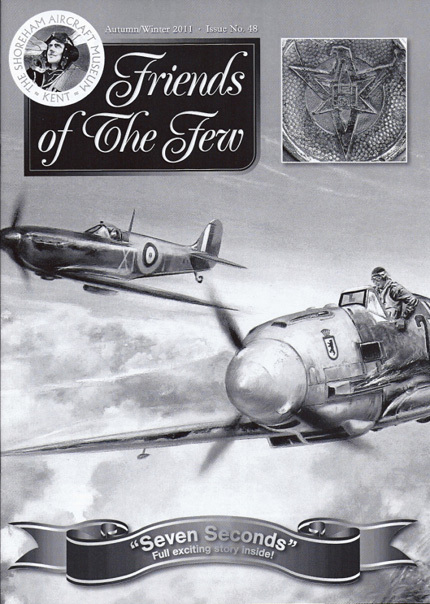 You are currently browsing the Shoreham Aircraft Museum – News archives for December, 2011.